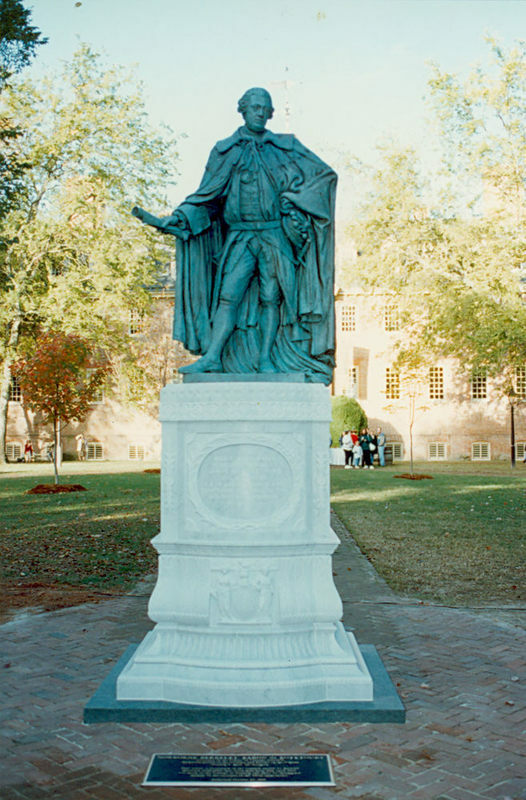 The statue of Lord Botetourt that currently stands in front of the Wren Building is a 1993 reproduction of the original located on the ground floor of Swem Library. 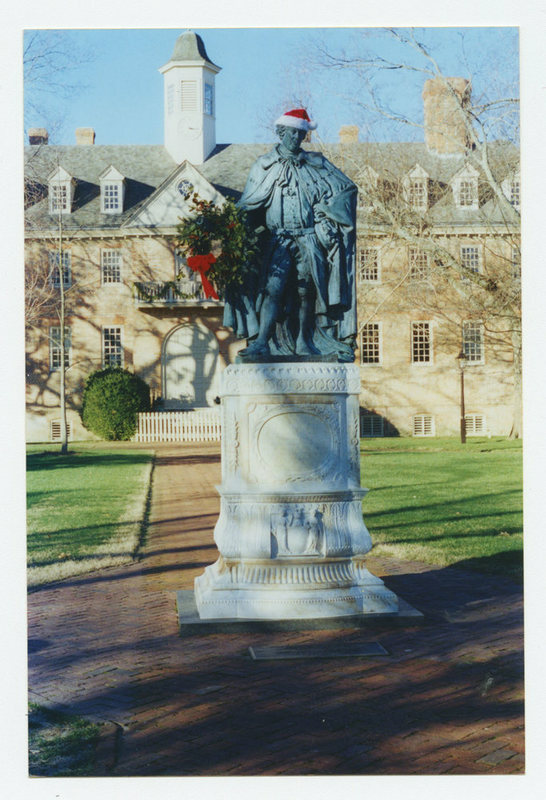 One of the traditions at William & Mary is to dress up the statue for the holidays, such as hanging a wreath on the statue's outstretched hand. 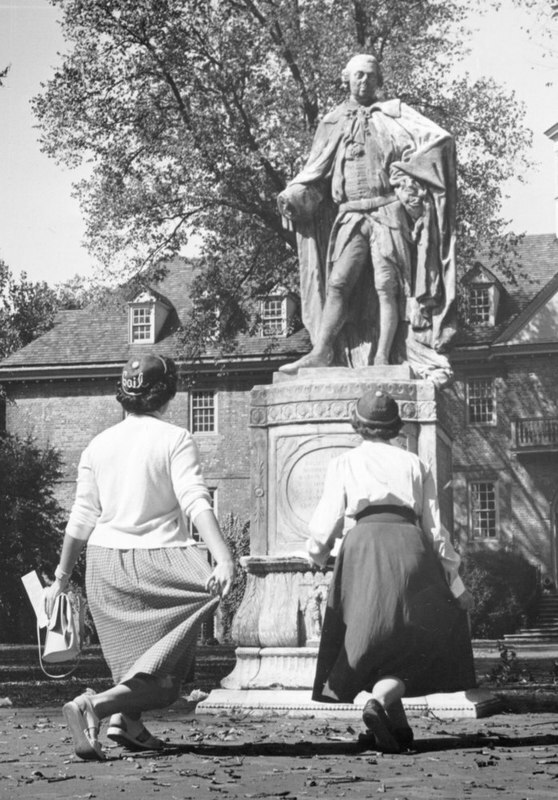 From the 1920s to the 1970s, campus tradition dictated that all freshman had to salute Lord Botetourt as they passed the statue. Lord Botetourt was a figure so revered by Virginians that they erected a statue in his memory which stood first at the Old Capitol building and then was purchased by William & Mary in 1801. Barring a brief period during the Civil War when it was kept in the Public Asylum for safety, it stood in the Wren Yard until 1958, when it was removed to protect it from the elements. In 1966 it was installed on the ground floor of the newly erected Earl Gregg Swem Library. A bronze replica by Gordon Kray, class of 1973, was installed in the Wren Yard in 1993. Norborne Berkeley, 4th Baron Botetourt (1718-1770), was governor of the Virginia colony from 1768 to 1770. He was also a member of the Board of Visitors. Previously he had been a member of parliament for Gloucestershire, England, 1741-1763. He died suddenly while still in office and was buried in the crypt under the chapel in the Wren Building. He had the reputation of being a generous, courteous, and sympathetic gentleman and was greatly loved by his constituents. Today, the top prize given to a graduating senior for scholarship is the Lord Botetourt Medal. 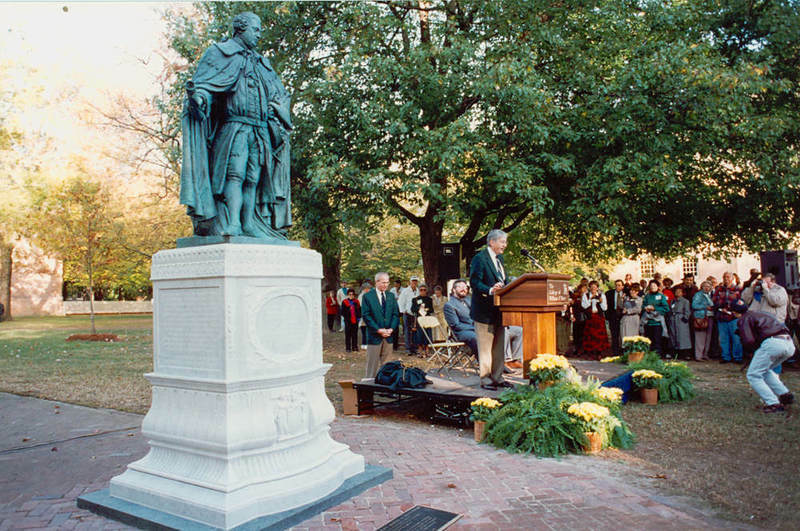 Lord Botetourt Statue in its current form, 1993: New Lord Botetourt Statue after being unveiled at dedication during Homecoming 1993. ~ Source: University Archives Photograph Collection, UA 8. ~ Creator: College of William and Mary. Original Lord Botetourt statue, 1957: A close-up of the front of the original Lord Botetourt statue surrounded by a fence taken in September 1957 in the Wren Yard. ~ Source: University Archives Photograph Collection, UA 8. ~ Creator: College of William and Mary. Girls curtsy to statue of Lord Botetourt, 1953: Girls (Gail Bowen and Ann Baird) curtsy to the original statue of Lord Botetourt as freshman in 1953. ~ Source: University Archives Photograph Collection, UA 8. ~ Creator: College of William and Mary. 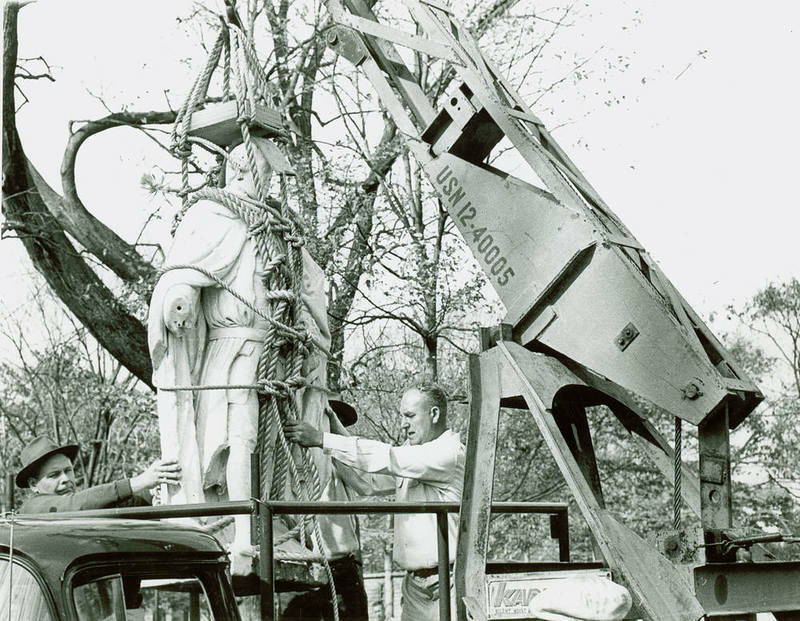 Original Lord Botetourt Statue removed from Wren Yard, 1958: The original Lord Botetourt statue being lifted onto truck in 1958, eventually to be moved to the Botetourt Gallery in Swem Library where it remains today. ~ Source: University Archives Photograph Collection, UA 8. ~ Creator: College of William and Mary. 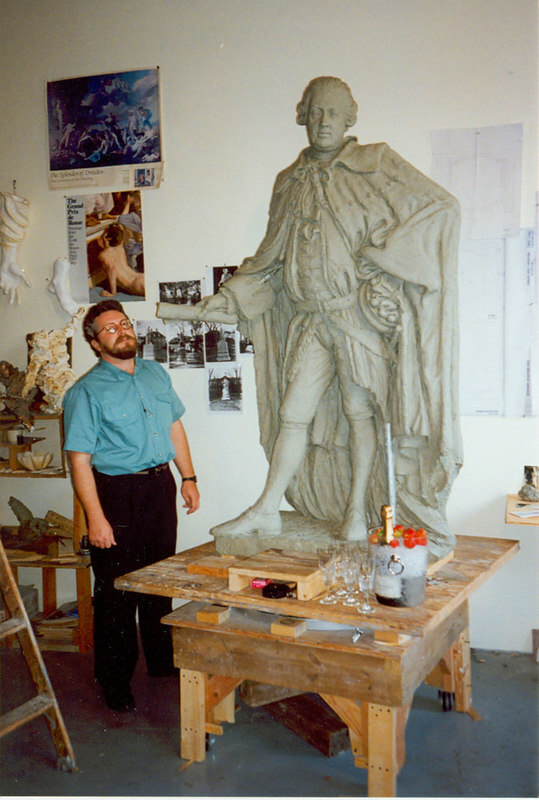 Gordon Kray and new Lord Botetourt statue, circa 1993: Gordon Kray, alumnus and sculptor of new Lord Botetourt statue, circa 1993. ~ Source: University Archives Photograph Collection, UA 8. ~ Creator: College of William and Mary. New Lord Botetourt statue at dedication, Homecoming 1993: The dedication of the new Lord Botetourt statue during Homecoming in 1993. ~ Source: University Archives Photograph Collection, UA 8. ~ Creator: College of William and Mary. 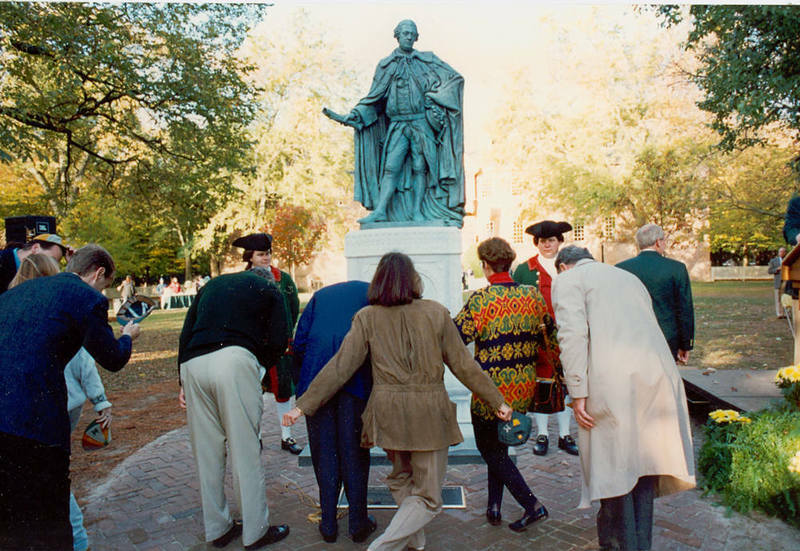 Alumni bowing to new Lord Botetourt statue, 1993: Alumni bowing to new Lord Botetourt statue at dedication during Homecoming 1993. ~ Source: University Archives Photograph Collection, UA 8. ~ Creator: College of William and Mary. Lord Botetourt statue, Christmas 1999: Lord Botetourt statue in Wren Yard decorated for Christmas in 1999. ~ Source: University Archives Photograph Collection, UA 8. ~ Creator: College of William and Mary. 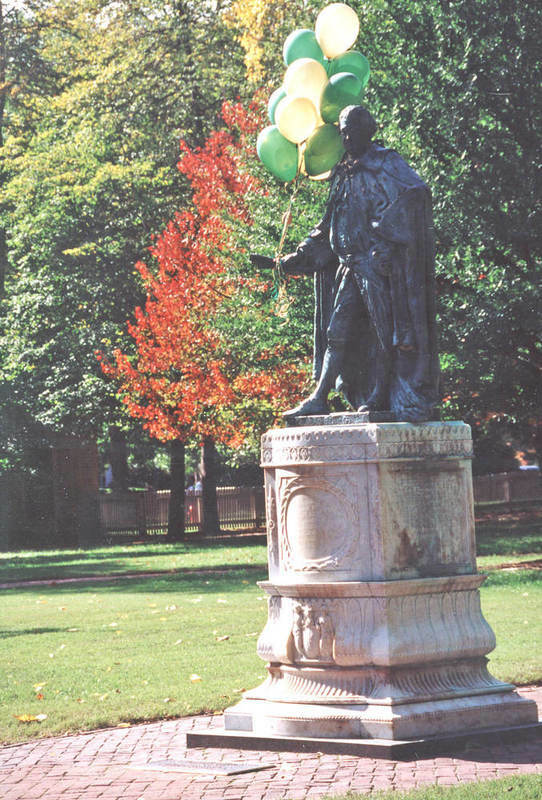 Lord Botetourt Statue, Homecoming 2002: Lord Botetourt statue holding balloons for Homecoming 2002. ~ Source: University Archives Photograph Collection, UA 8. ~ Creator: College of William and Mary. 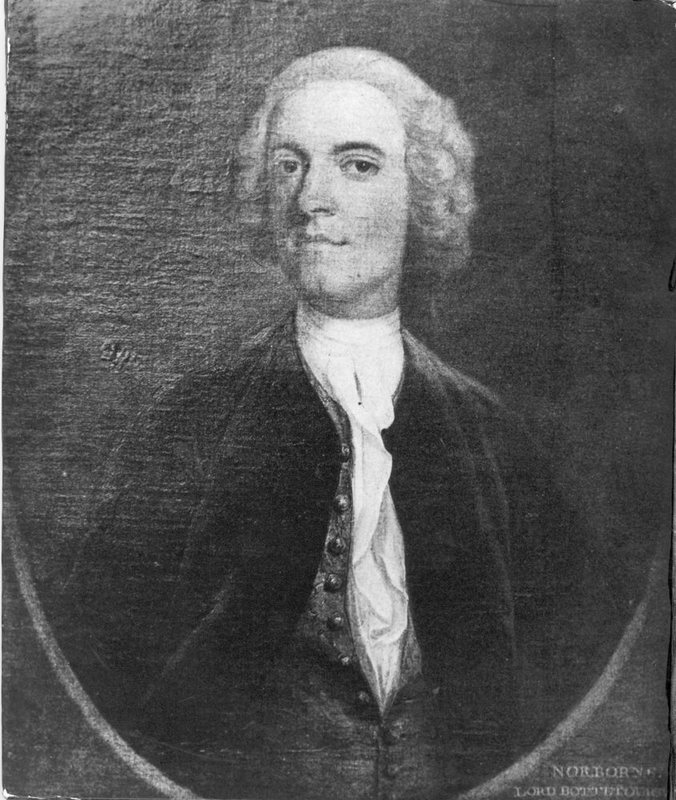 Photograph of a portrait of Norborne Berkeley, Baron Botetourt, undated: Photograph of a portrait of Lord Botetourt. ~ Source: University Archives Photograph Collection, UA 8. ~ Creator: College of William and Mary. 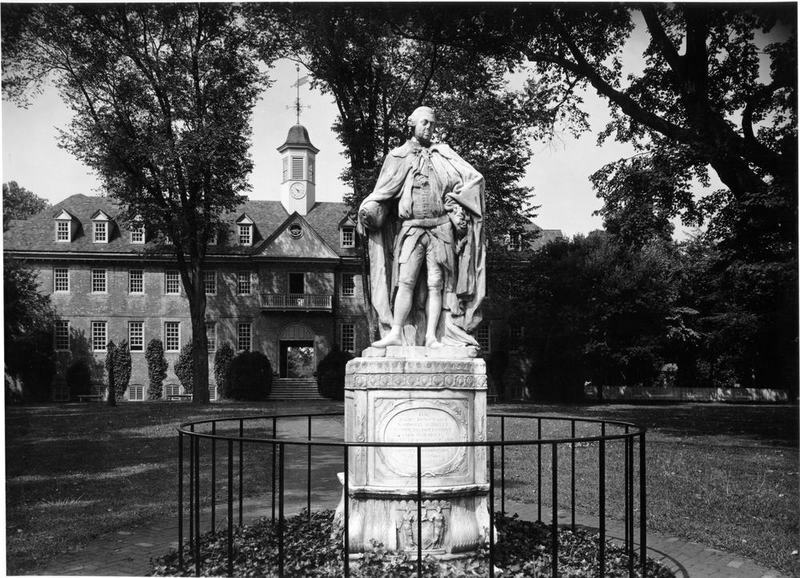 Special Collections Research Center, Swem Library, College of William and Mary., “Lord Botetourt Statue, Constructed 1770- 1773,” TribeTrek, accessed April 26, 2019, https://tribetrek.wm.edu/items/show/11.